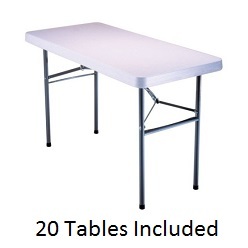 Product: Lifetime Tables - 2950 White Granite Folding Table 4 Ft. Top - 20 Pack. Table is approximately 29.5" tall and weighs about 24 lbs. Great for Thanksgiving, Christmas and New Years Feasts, Camping, Boating, Fishing, Picnics, Sporting Events, Recreational Activities and More! A 4 ft. table is typically ideal as a display table. 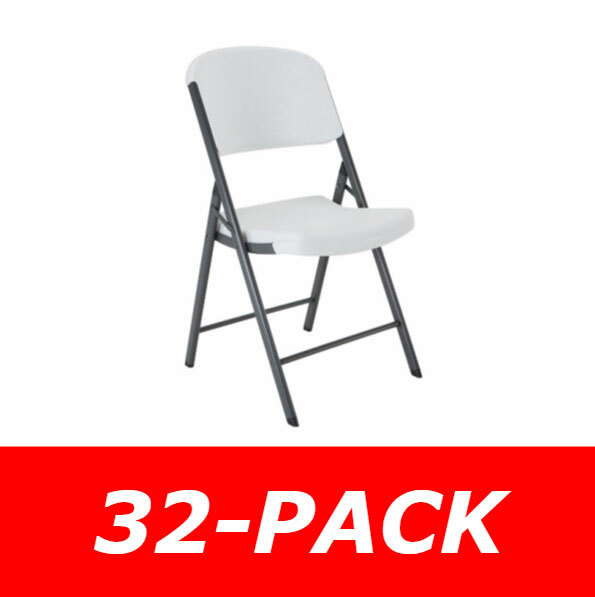 The 4 ft. size of the 2950 make the table very light weight and easily transportable. 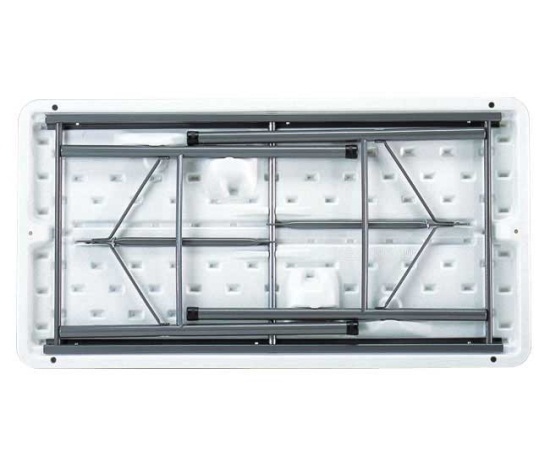 The steel frame makes the table able to support evenly distributed weight, typical of display tables. This table can be used as a banquet table, but is best used as a seminar table if people are going to be sitting at it. 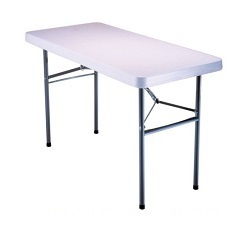 Order your 2950 Lifetime Folding Tables today for a great price. We have been using your products religiously and these are two tables that are used in my parent's store so many years. Millions of blade cuts were done on these tables, and these tables are still lasting like day number one. No chips, no fallin apart. Thanks Lifetime! We use these tables for business. We are very rough on them and they are moved from store to store weekly. They last a very long time and stay looking clean. The only problem I have with them is that they are heavy. Wish they were lighter since we are loading and unloading them all the time. If I were a big burly guy they might not seem heavy though. I use these for my business and they are wonderful. We are mobile so they get a lot of tough use. 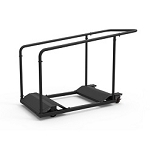 They are very durable and easy to set up. I wish they were lighter though. They are pretty heavy to load and unload. Other than that they are perfect. Q: Does this table fold in half? 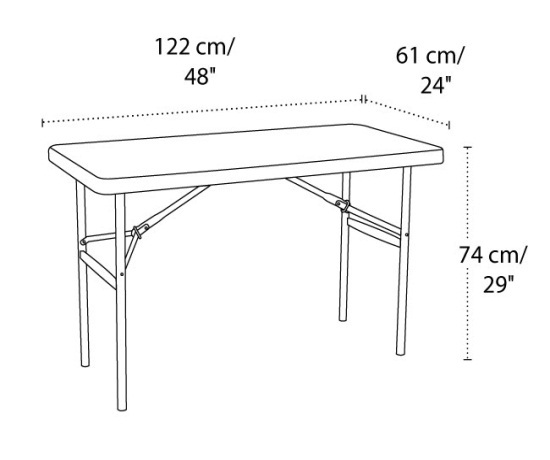 A: This table does not fold in half. It is a solid top.